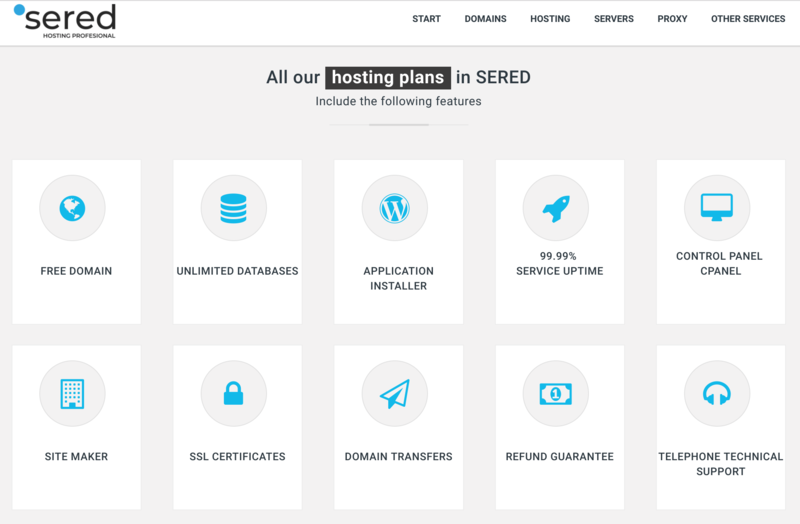 SERED Review 2019: Is SERED a Good Hosting? Spanish web hosting provider SERED provides SSD-based shared hosting plans using servers in Spanish data centers. Its feature-packed plans are offered at reasonable prices. SERED started out as an idea in 2007. It was officially launched as a project in 2009 to offer web hosting and associated services, and it became a company in 2011. In 2013, SERED joined Xtudio Networks SL when it expanded its network and hardware. SERED’s nicely presented website is only available in Spanish. All plans come with the cPanel control panel that includes the Installatron software installer for one-click installation of numerous applications. You can also easily add domains (if they’re already registered). The Cloudflare CDN comes in handy for enhancing your website’s performance (through caching) and security (including DDoS protection and hiding your IP address). It’s very easy to set up. SERED offers several different hosting services, including SSD hosting, SEO hosting, WordPress hosting, PrestaShop hosting, and Magento hosting. Each type of hosting comes with three price plans – categorized into Basic, Medium, and Advanced – that vary mainly in terms of disk space. With all plans, you can choose to be billed monthly, annually, biennially, or triennially, and you get discounts on annual commitments and above. If you’re tempted to sign up for a long stretch, you can take comfort from the 30-day money-back guarantee that should get you out if anything goes wrong within the first month. You can pay by many different methods including Efecty, Rapipago, PSE, OXXO, PayPal, all major credit cards, and bank transfers. SERED provides a range of hosting services at reasonable prices with some added attractions such as free domains and free website migration. 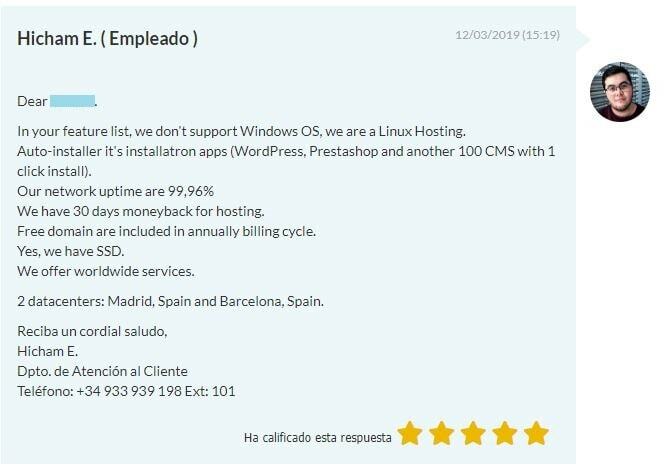 Get SSD hosting on Spanish servers from SERED. Wondering how SERED stacks up against other Web Hosting companies? Enter any other Web Hosting company and we will give you a side-by-side comparison.